Janet Rae Nesbitt of One Sister Designs designed the wonderful Folk Art Flannel collection for Henry Glass. 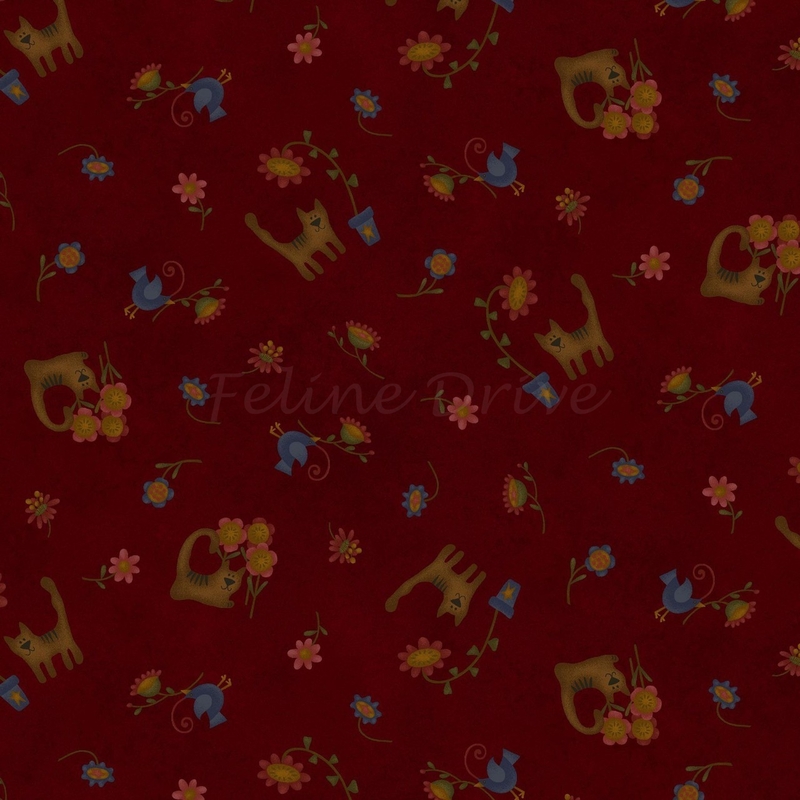 You will love the intensity and the different values of color in this deep rich full range of colors collection. The rich saturated hues of teal blue, tobacco green, barn red, black, gold and cream will draw you in! 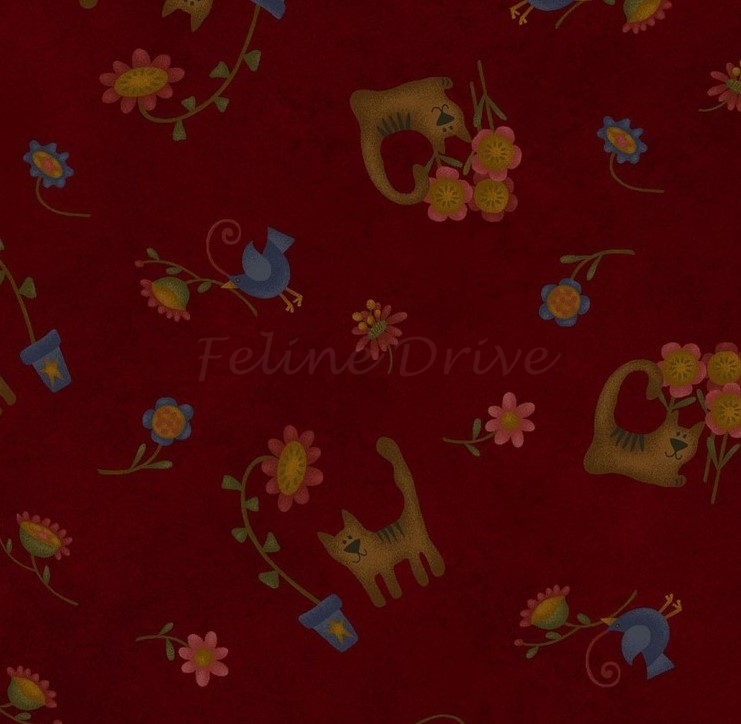 This fabric features cats and flowers tossed on a dark red background.